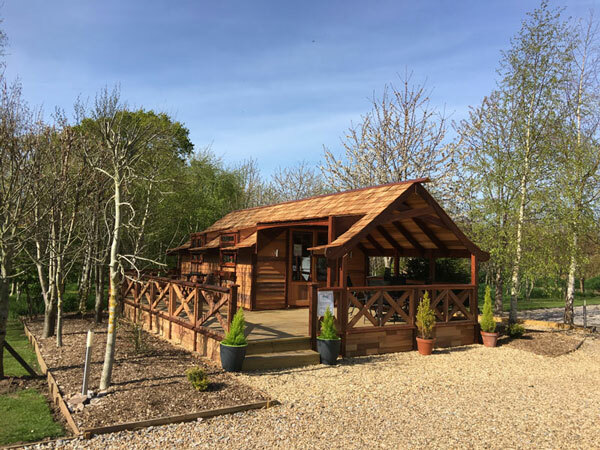 The lodge was new for 2016 and is clad in cedar, located at the edge of a small wood with a large deck to sit out on. Inside there is a lounge with TV, dining table & chairs and small kitchenette with fridge, microwave, kettle, toaster & single electric ring. 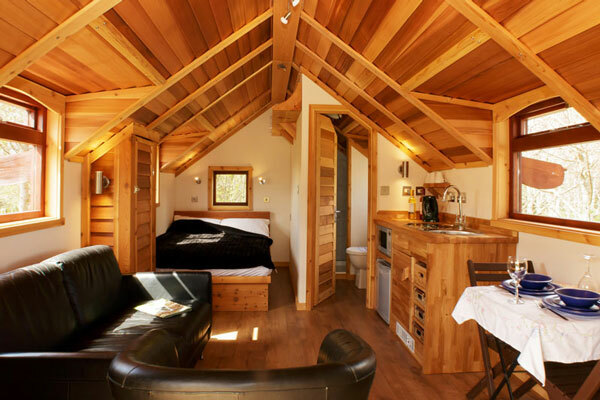 There is a bathroom with shower, sink & loo & a full sized double bed. The lodge sleeps two people in a comfortable double-bed. 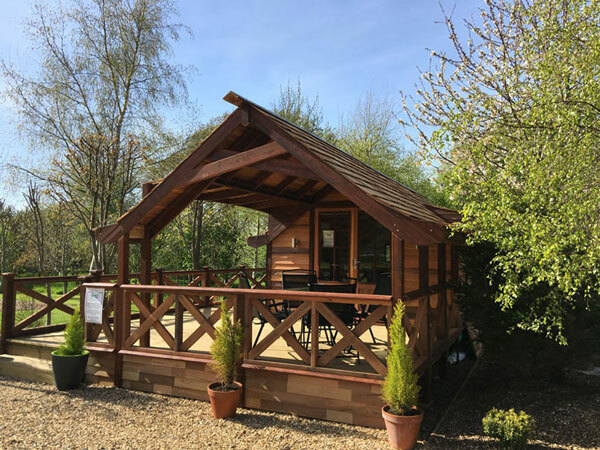 It has its own bathroom with toilet, sink and shower; and has a fully equipped small kitchen with a microwave, small hob and fridge. Bedding, towels, crockery and cutlery are all provided as part of the package. Outside, there is a large private veranda with chairs and a table for you to enjoy during your stay. 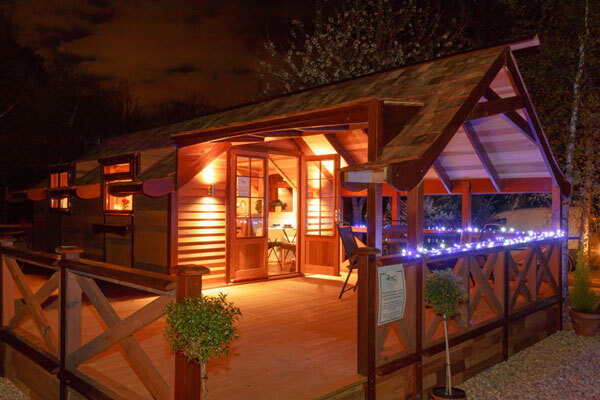 The lodge is available to book from £72.50 per night, conditions apply.